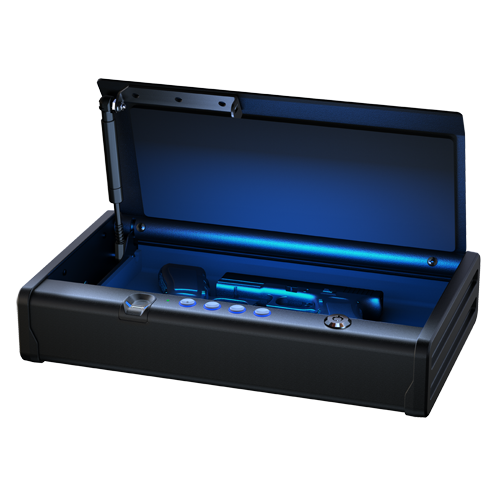 QAP2BEL XL Quick Access Biometric Pistol Safe with LED Interior Lights is rated 5.0 out of 5 by 1. 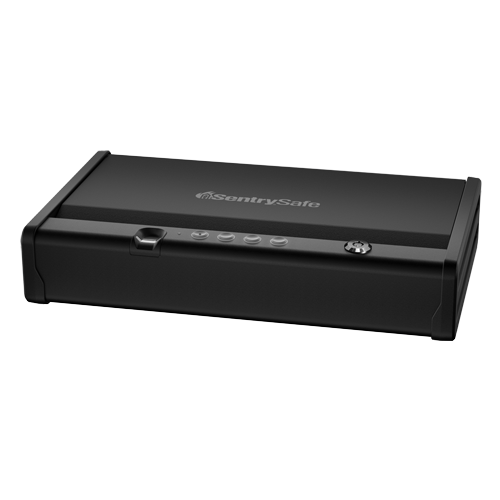 Our Extra Large Biometric Pistol Safe QAP2BEL provides quick, reliable access to your firearm when it matters most. Equipped with a biometric fingerprint scanner, silent digital lock, and override key, this safe offers advanced protection for your home defense needs. 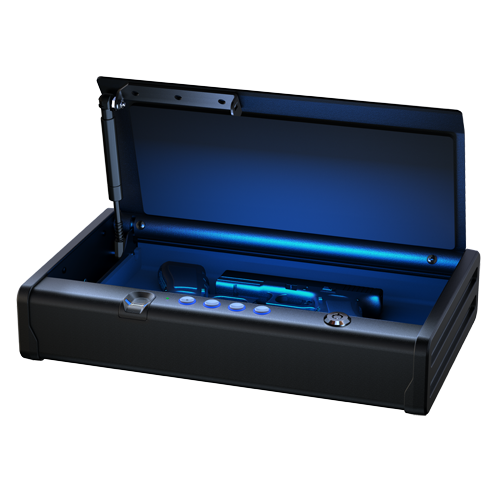 With two pistol capacity, programmable interior LED lights, whisper-quiet entry and pry-resistant solid steel construction, this safe is a must-have for firearm security. This safe is also California DOJ Certified for firearm storage and protection.